Eduardo Sepulveda believes he will be out for around three months after a bizarre accident at La Drome Classic on Sunday. The Argentinian, who rides for Fortuneo-Vital Concept, was close to the finish line when he was struck by a barrier blown into his path by strong winds. Sepulveda was knocked unconscious and was left with a broken wrist, among other injuries. It is the second major crash for Sepulveda in five months, after breaking his fibia at the Coppa Agostoni in September, although the 24-year-old expects to be able to return for the Tour de France later this year. "I don't know what to think, the bad luck follows me," he told Ciclismo Internacional. "There was a steep slope at the finish and we were finishing one by one. "Just as I passed around 125 metres to go, the wind blew up one of the barriers and it hit me directly. "I lost consciousness and it took me a while to wake up, fortunately the scans went well in this sense. [I have] stitches in the face, broken teeth, a fractured scaphoid in several places. A specialist will operate on me in Lyon and I think that I will be three months without my bike. 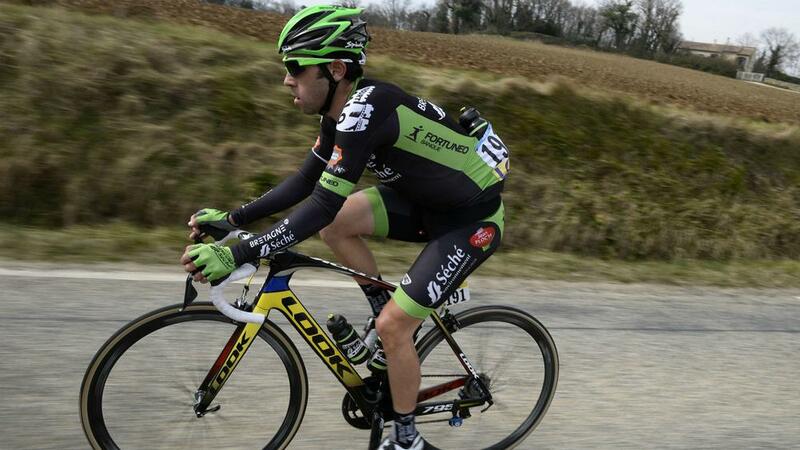 "I will not miss the Tour de France but it is very possible that I will not be at Fleche Wallonne and Liege. What happened is unacceptable, and I am very angry."